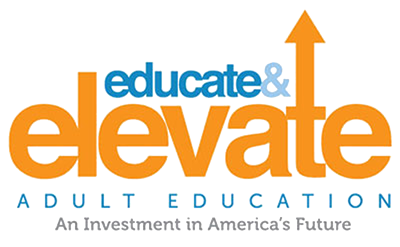 Seacoast NH Adult Education Centers work in partnership with Great Bay Community College to address needs of community college students for developmental courses that prepare them to take college-level ELA and math courses. Attachments include a copy of “Presidents’ Community Partner” Award and a photo of Portsmouth Adult Education ELL teacher, Megan Donnelly and Program Director, Kristie Conrad, accepting “Presidents’ Community Partner” award. 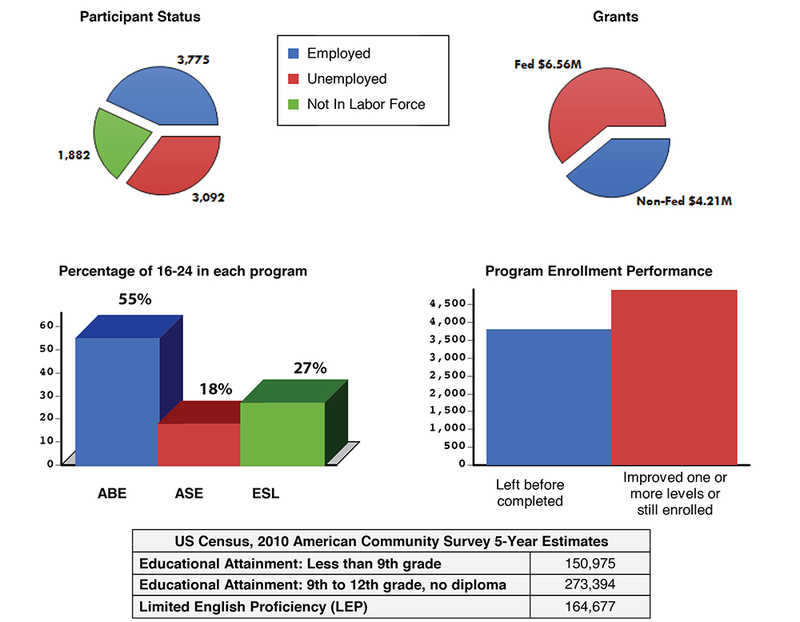 Seacoast NH Adult Education Centers (Dover, Exeter, and Portsmouth) designed curriculum for Reading, Writing and Math developmental courses at Great Bay Community College (GBCC) for students identified (Accuplacer scores) as in need of such courses. The Centers offer non-credit courses on Campus and at respective Centers, where students build skills and knowledge in preparation for college-level courses. 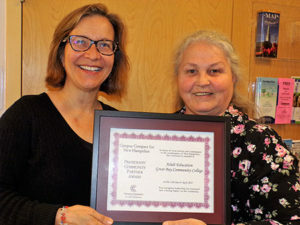 The SNHS-Portsmouth Adult Education Program has recently joined in this effort, offering a “Communication Skills for English Language Learners” course to familiarize ELLs with the GBCC culture and academic expectations, with a focus on writing skills (vocabulary acquisition, grammar, sentence/paragraph/essay structure) at a college level. Consistent improvement in Accuplacer scores has allowed students to move into college-level courses over time. This model of partnership with Adult Education Centers and the NH Community College System is being replicated around the State of NH. Portsmouth, Exeter and Dover Adult Education Centers received recognition for this work as the “Presidents’ Community Partner” Award recipients for 2017 from the Campus Compact for NH organization.